Internet safety is a big concern in this day and age. And it is affecting kids younger and younger as they gain access to technology for various reasons. 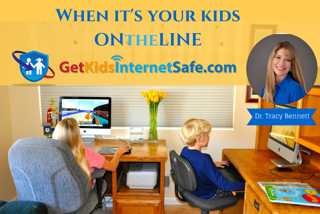 Today I’m talking with the founder of Get Kids Internet Safe, Dr. Tracy Bennett. Tracy is a mom, a clinical psychologist, and an advocate for this field. We talk about practical tips for helping set boundaries and safeguards with your kids, as well as how to talk to your children about the dangers of the internet. It’s a really informative episode that I hope you get a lot out of.